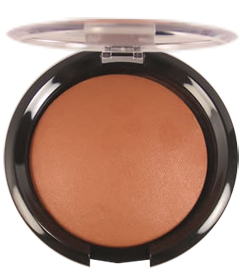 Miljo Corporation was established and created in 1999 to distribute the finest Italian Mineral Based and Terracotta Baked Bronzers in the US exclusively for the Beauty Supplies and Salons. Presently the company has expanded and added Mineral Based Terracotta Baked Eye Shadows in Singles, Duos and Magic (Kaleidoscope of colors in one) Colors. The company has also expanded last year by manufacturing it’s very first US products in “PureMinerals tm Cosmetics” with the introduction of the “Pure Crushed Mineral Wet and Dry Powder Foundation” and the new “Terra-Mineral Shimmer/Matte Eye Shadows” in Single Shades! In January 2009 Miljo Corporation will also be adding the new line of Lip Products in “PureMinerals tm Cosmetics” like the “Herbal & Mineral Lip Colors” and “Herbal & Mineral Gloss” all made with Pure Natural Herbs and Mineral Ingredients that are all “Paraben Free”. Watch out for these new introductions for the Summer. In addition to their new “Herbal & Mineral Lips” will be the new “Liquid Herbal & Mineral Eye Liners” and the “Herbal & Mineral Mascaras”. All these new additions will make Miljo Corporation one of the most innovative Cosmetic Companies in the Beauty Industry. What are Italian Mineral Based and Terracotta Baked Cosmetics? Baking is a technology that has been around and done by the Oldest Manufacturers of Cosmetics in Italy since1863. Terracotta Baked Cosmetics is one of the most famous ones done here. They are baked on terra-cotta “wafers”, which are elevated and cooked at 180°F for two days and always comes out in their dome shape. The unique combinations of Mineral Ingredients and Natural products without any animal ingredients help create these very unique products. All of the moisture dissipates out through the top and bottom, which is why porous terra-cotta wafers are used. After which you are left with a very fine powder that keeps its shape. It’s the same texture as micronized mineral powder which is unique in that they feel extremely soft and supple but never messy. They are applied well dry with a brush or just with your fingertips and they stay on forever when applied wet with a sponge or sponge tip applicator! It will never crease nor bleed. Each product are carefully packed and shipped in the US fresh from the ovens in Italy and distributed by Miljo Corporation. Most companies that carries the same products and likely the same exact shades from Italy are usually found in the US at the most Prestigious Department Stores and sells for a minimum of $25.00 per eye shadow. Miljo Corporation distributes them to Beauty Supplies and Salons at a more affordable cost for the consumers. What are PureMinerals tm and Herbal Cosmetics? Miljo Corporation decided to add to its company a new line of Natural Cosmetics that makes a difference for the environment and to the new trend of Mineral Cosmetics’. We started by introducing a combination of Pure Herbs and Minerals. All made and manufactured in the USA. 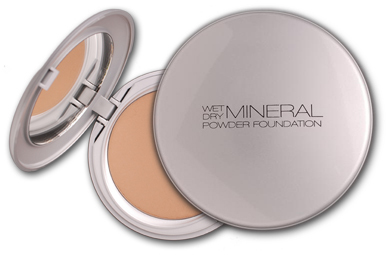 The first introduction in 2006 was the “Pure Crushed Mineral Wet & Dry Powder and Foundations. The combinations of Herbs and Minerals help make Miljo Corporation the “Most Innovative Cosmetic Company” for the Beauty Industry. The whole entire PureMinerals tm & Herbal line will feature unique Natural Herbslike Natural Echinacea (famous for being one of the most basic antimicrobial herb),Sea Kelp (has its high concentration of iodine that helps boost the immune system),Green Tea (potent antioxidant as well as ant carcinogenic properties), Ginseng(known highly to stimulate collagen production), Aloe Vera (mostly know to play a role in binding moisture to skin with extra healing properties), Chamomile (is widely known for its antioxidant and antimicrobial properties). Mineral Ingredientsused are Mica (mineral included in products to give them sparkle and shine), Magnesium (has a strong absorbent properties and some disinfecting properties),Silica (give it a great deal of slip, and in its various forms it can feel like silk on the skin and imparts emolliency). Titanium Dioxide (is used for its strong UV light absorbing capabilities and its resistance to discoloration under ultraviolet/UVB light). Natural Products mostly used in the PureMineralst are Shea Butter (a plant lipid that is used as an emollient for the skin). Natural Vitamins are also mostly used in all the products and all are the top anti-oxidant Vitamins like and including Vitamin A (considered a good antioxidant in some of its various forms, particularly as retinol and retinyl palmitate), Vitamin B (widely known for its effective treatment for some skin acne), Vitamin C (considered a potent antioxidant for skin), Vitamin D (have some antioxidant benefits) and Vitamin E(considered an antioxidant superstar it is a lipid-soluble vitamin). But combined together all these Vitamins are considered to be the most potent Anti Oxidants that helps build cells that produce skin collagen for elasticity.